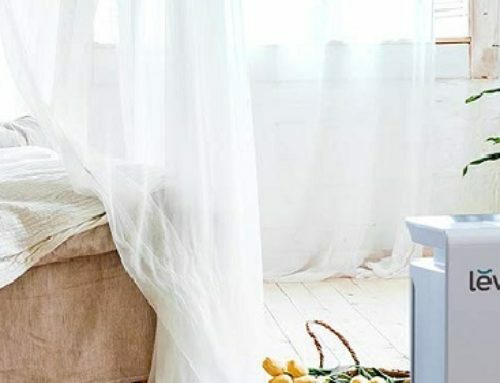 In this buying guide, we are going to be taking a look at the Hathaspace Smart True HEPA Air Purifier. Now, this air purifier comes with a bunch of different features that make this a special device. You’re going to learn what all of those different features are, and the distinct benefits that these particular features can bring to the air in your home. So, with that being said, let’s dive right in! Right away, you’re going to notice that the design is very sleek and very simple, yet aesthetically pleasing. There aren’t too many buttons, and the shape is rectangular and consists of two primary colors. It gives off a very “futuristic” aura, and it goes with just about anything, due to the minimalist aesthetic that runs through it. Along with that, the Hathaspace Smart True HEPA Air Purifier only weighs 12 pounds. For an air purifier, this is pretty light, so you’re not going to have any problems picking it up and moving it around to another room if you ever want to do that. On the front of the device, there is a small LED screen that shows you the current quality of your air, as well as the different features and settings that are currently being used. Right below this LED screen, there are six different buttons; each one corresponds to a key feature. 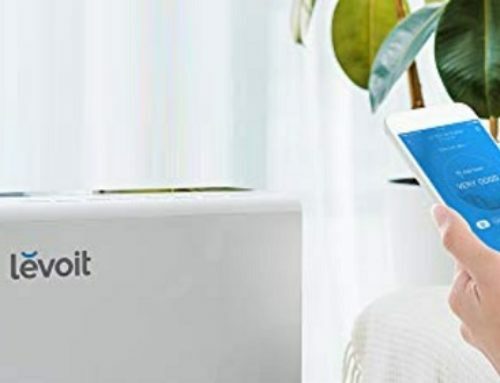 You have the “Timer” button, which enables you to choose how long you want the air purifier to run for. Then, there is the “Sterilize” button, which turns on the UV Light Sterilizer – more on that, later – and the power button is right next to that button. Below those three buttons, there are three more. The “Speed” button lets you alter the speed of the fans that are running; there are four different speeds to choose from. To the right of that, there is the “AnIon” button, which turns on the Ionizer. Finally, there is the “Sleep” button which turns the air purifier down to lower settings, so that it makes much less noise. You have four different fan speeds to choose from. Low, Medium, and High, are the three main ones. 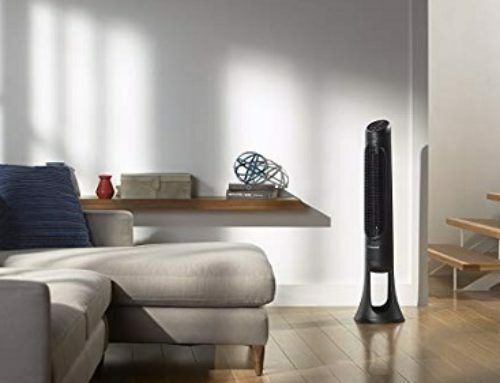 The fourth speed is “Auto”, which uses the air purifiers sensors to detect the quality of your air, and then that data is used to choose which fan speed is ideal. Now, the Hathaspace Smart True HEPA Air Purifier consists of six different filtration systems. Before we get into the main four, let’s talk a little bit about the UV Light Sterilizer and Ionizer. With the UV Light Sterilizer, you can more effectively kill germs, since the UV light targets their DNA and then breaks it apart. So, if you are sick, or if you are in a home where other people are sick, and you don’t want to become ill, you can use this to great effect. Using the Ionizer, negative ions are released, and these attach themselves to pollutants, which are positively charged. When this attachment takes place, the pollutants are destroyed, and your air is now free of them. However, most people don’t think Ionizers are particularly good for you since they release ozone, and ozone has been shown to have some rather unfortunate effects on your body if you inhale too much of it. Because of this, the Ionizer is merely a secondary choice of filtration/purification, rather than one of the main systems. As for the main purification systems, you first have a Nano-Cold Catalyst Filter. This filter removes all of the larger particles, as well as toxic chemicals such as formaldehyde and benzene, to name just two. Then, you have the Activated Carbon Filter. Now, this filter removes things like odors, smoke, and various gases. If you have a home that is especially smelly, this is a great filter to have, since it is designed to remove all of those nasty smells, as well as the gases that can lead to those stenches. After that, there is the Antibacterial Filter, which destroys bacteria, fungi, and viruses. For sickness, this is a great filter. Finally, the last filter is the True-HEPA Filter, which is used to get rid of the smallest particles. Particles are as small as 0.3 microns, such as allergens, dust mites, mold spores, among others. The Hathaspace Smart True HEPA Air Purifier has everything you would ever need in an air purifier! If you want an affordable “all-in-one” air purifier that is thorough and efficient, this is it!